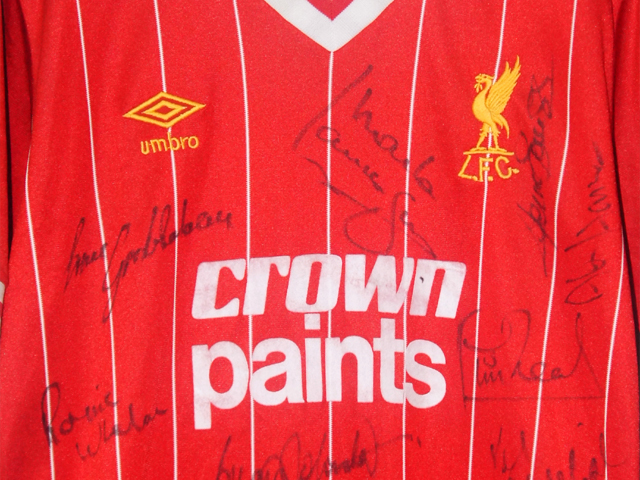 In between 1982-1985, Liverpool used a pinstriped home shirt, which was also the last kit under the Umbro era. 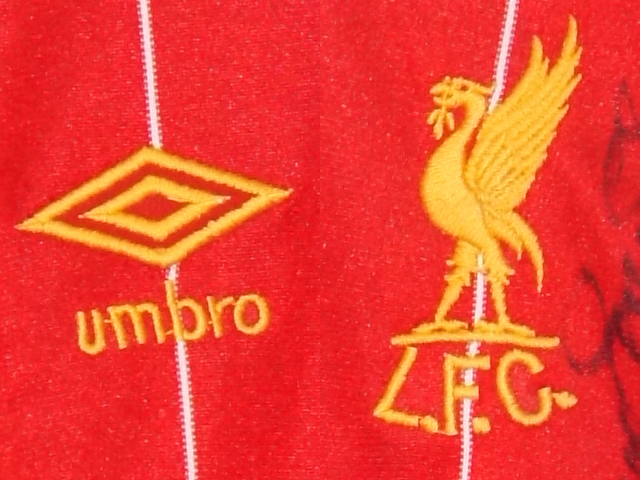 There are several different versions of sponsor logo used on shirts of this style. 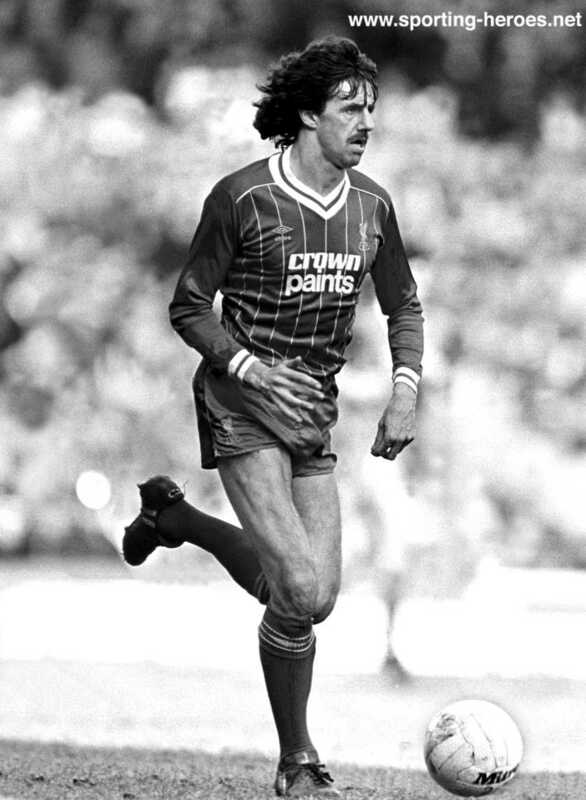 Featured Mark Lawrenson wearing a home pinstriped shirt with two-lined big fonts Crown Paints sponsor. 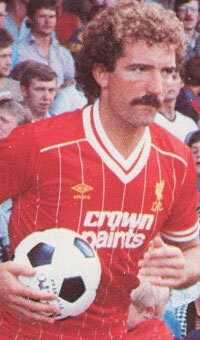 Featured Graeme Souness wearing a home pinstriped shirt with two-lined big fonts Crown Paints sponsor. 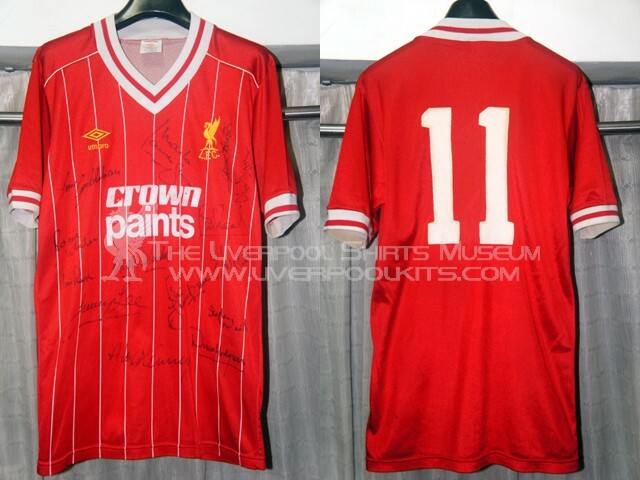 - This number 11 shirt belongs to Grame Souness The shirt shown above is the first Crown Paints sponsored shirt to be worn by Liverpool. 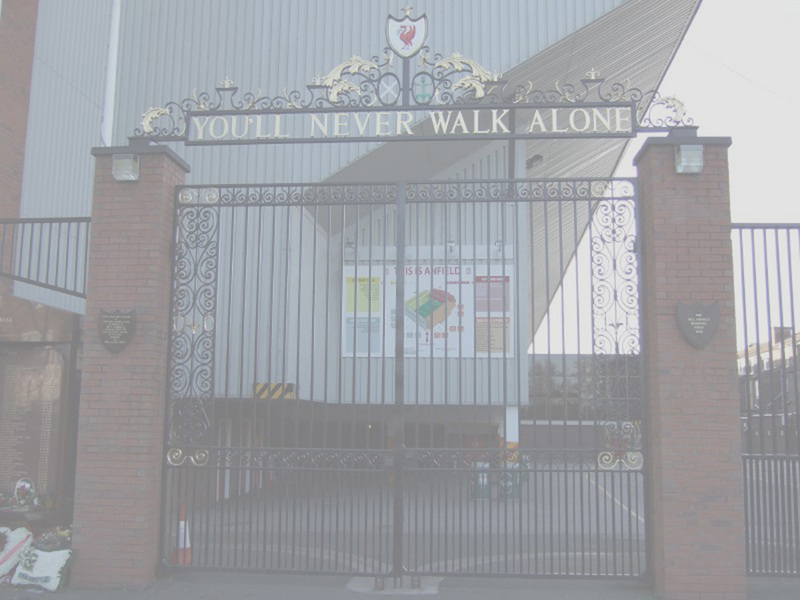 The logo was a white transfer type material that was put straight onto the front of the shirt. This shirt was worn for the whole of 1982-1983 seson. It was also worn for the start of the 1983-1984 season up to around Christmas. 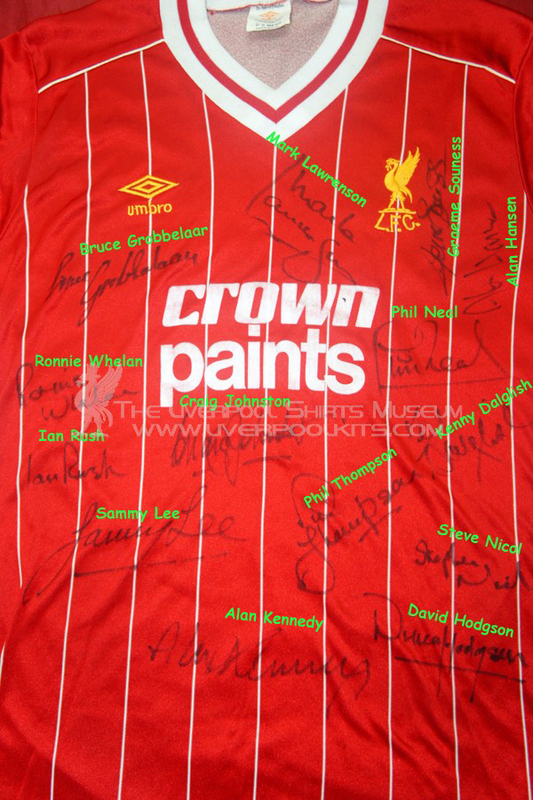 This Souness player shirt is signed by himself, as well as other squad players then.